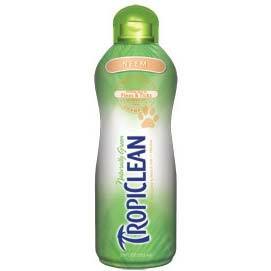 Tropiclean is a citrus neem shampoo for dogs. Tropiclean is deep cleaning and effective in relieving irritations caused by flea and tick bites. 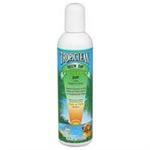 Additionally, Tropiclean Neem Citrus Shampoo helps remedy dog odor. This high lathering shampoo cleans the filthiest pets while creating a healthy, shiny coat.